If you’re a fan of Ken Follett’s novel Pillars of the Earth, then you’re probably looking forward to the TV adaptation of the story. The first episode of the eight-hour series will premiere this Friday. Read on for more details and Starz’s preview for the series. The Pillars of the Earth follows the building of a cathedral and the personal drama, political strife, war and power-struggles of the characters that are all involved in some way or another. Stay tuned for our full review of the series later this week. In the meantime, here's some more info on the series. Starz is set to premiere the first episode of The Pillars of the Earth on Friday, July 23, 2010 at 10:00 p.m. ET/PT on Starz. To view photos of the characters, click here. 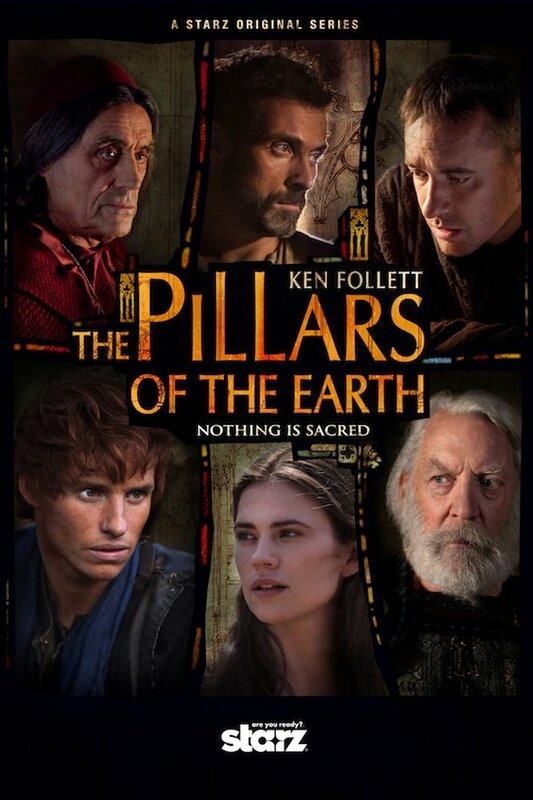 “The Pillars of the Earth is a sweeping epic tale of good and evil, treachery and intrigue, violence and beauty. This sensuous, spirited and passionate story is set against a backdrop of war, religious strife and power struggles during the great Anarchy of 12th century England. The Pillars of the Earth begins with the public hanging of a mysterious man. About to meet his de- mise, he reaches out to a young pregnant woman in the crowd. As he hangs, the woman places a curse upon the three men responsible for his death: a powerful knight, a sheriff, and a young priest. This fateful event sets in motion the interconnected tales of Tom (Rufus Sewell), master builder; Aliena (Hayley Atwell), the noblewoman; the sadistic Lord William (David Oakes); Jack (Eddie Red- mayne), the artist in stone work; and Ellen (Natalia Wörner), a peculiar woman from the forest with an otherworldly background. At the heart of this grand tale lies Prior Phillip (Matthew Macfadyen) the benevolent leader of the diocese of Kingsbridge. His greatest adversary is Bishop Waleran (Ian McShane), who threatens Phillip’s lifelong dream turned obsession of creating the most bewildering and magnificent church in England. The Prior and the Bishop become locked in an ultimate test of morals versus malice. The Pillars of the Earth is a sensuous and enduring love story set against the backdrop of the power and corruption of church and state. In the midst of the turmoil arises a symbol of true love, beauty, and faith in the form of a most magnificent cathedral. The 8-hour mini-series based on the acclaimed international best-selling novel from Ken Follett also stars Donald Sutherland, Sarah Parish, Robert Bathurst and Sam Claflin. For those of you who don’t subscribe to Starz, if you have Netflix, the website has a place-holder page up for The Pillars of the Earth, indicating that they will be making the series available through their “Watch Instantly” feature. The first episode will be available streaming through Netflix on July 24th.